Provided that there shall be paid out of the Consolidated Fund of India as grants-in-aid of the revenues of a State such capital and recurring sums as may be necessary to enable that State to meet the costs of such schemes of development as may be undertaken by the State with the approval of the Government of India for the purpose of promoting the welfare of Scheduled Tribes in that State or raising the level of administration of the Scheduled Areas therein to that of the administration of the rest of the areas of that State”. This is a Central Sector Scheme and 100% grants are provided to the States. The scheme covers States namely Andhra Pradesh, Arunachal Pradesh , Assam , Bihar, Chhattisgarh, Goa, Gujarat, Himachal Pradesh, Jammu & Kashmir, Jharkhand, Karnataka, Kerala, Madhya Pradesh, Maharashtra, Manipur, Meghalaya, Mizoram, Nagaland, Orissa, Rajasthan , Sikkim , Tamil Nadu, Tripura, Uttar Pradesh, Uttarakhand and West Bengal having Scheduled Tribe Population..
· The grants are provided to the States on the basis of ST population percentage in the State to the total tribal population of the Country. The Ministry of Tribal Affairs issued revised guidelines, in super session of the earlier circulars/ letters/ guidelines on the subject, under No.14011/ 9/ 2001-SG&C dated 2.7.2002 for adoption during 10th Five Year Plan. There was a minor modification in the guidelines in January, 2008. The following are the main features of the revised guidelines issued by this Ministry on 2.7.2002. (i) Grant under Article 275(1) is additionality to Normal Central Assistance to the State Plan. (ii) Adoption of the project approach and prior approval of the Ministry is necessary. (iii) The projects under the first proviso to Article 275(1) are part of the overall TSP and the Annual State Plans. (iv) Micro-plans for each ITDA/ MADA are to be prepared through multi-disciplinary teams. (v) Thrust areas are to be identified so that resources are better targeted rather than spreading too thin. (vi) Provision for utilization of 2% of the funds for project management has been made. (vii) Provision of expenditure upto 10% of the funds for maintenance and infrastructure with prior approval of the Ministry has also been made. (viii) Proportionate, at least 30% coverage of women is necessary. (ix) TSP Component of the Annual State Plan is to be put in a separate budget head under the administrative control of their respective Tribal Development Department. States can take up activities for strengthening the infrastructure in the sectors critical to enhancement of human development indices such as education, income generation, health irrigation, roads, bridges, forests, forests villages, electrification, communication, rural marketing, agriculture, animal husbandry, food processing, processing of MFPs, human resource development in technical and vocational spheres, water harvesting, resettlement of displaced persons, tribal land management, sports promotion.Generation of community welfare assets like residential schools, Maintenance of schools, Providing skilled teaching including in tribal language, Nutritional support to needy: children, mothers and elderly people, Community Grain Storage, Assured Drinking Water, and Other activities meant for welfare of Tribal population different from conventional development etc. 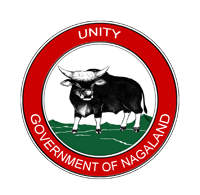 The Dept of Social Welfare,Govt of Nagaland is the nodal dept for releasing of funds for grant-in-aids to the different Non-Governmental- Organizations(NGO) working for different sections of the society. The funds are provided under State -Plan , Plan and Non- Plan . (State Plan) Rs. 6.00 lakh.